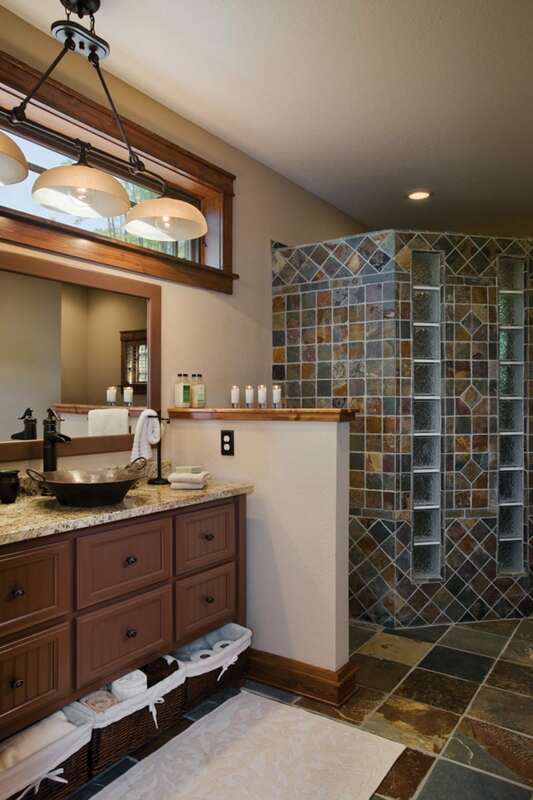 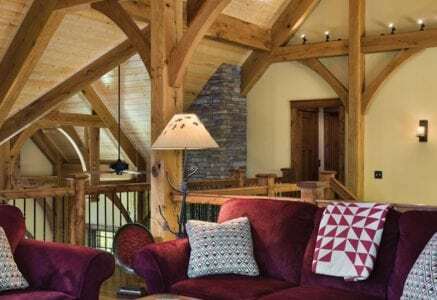 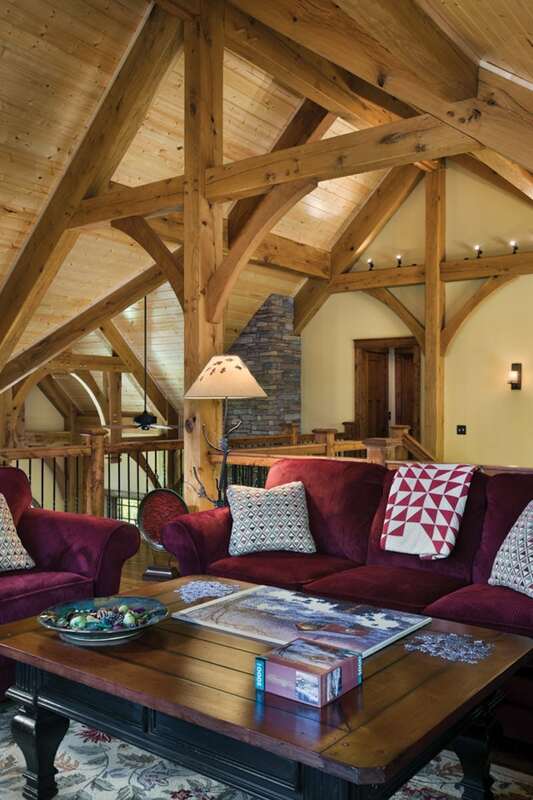 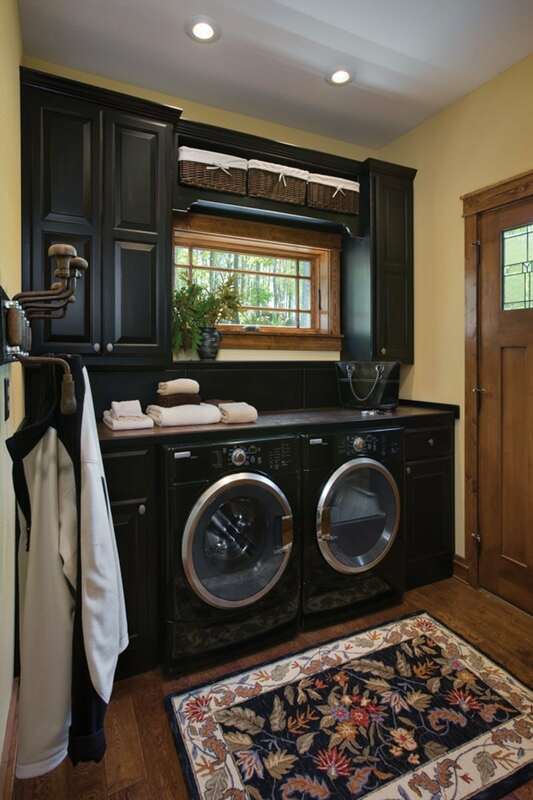 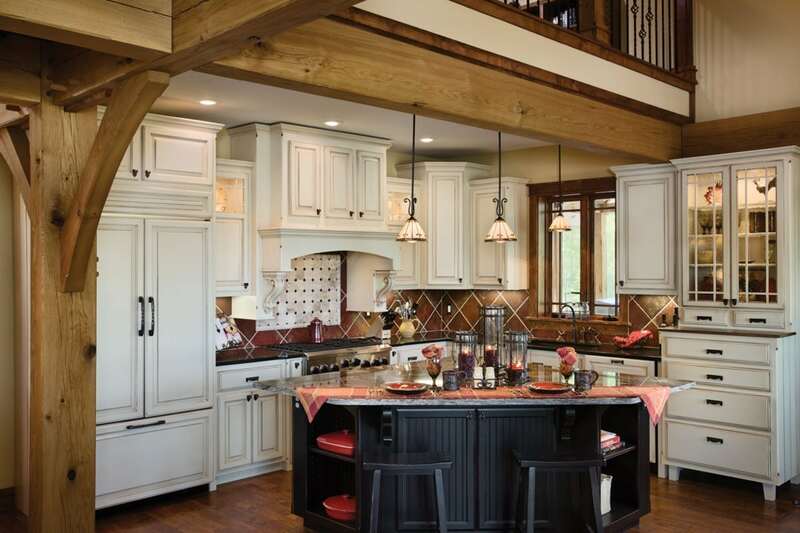 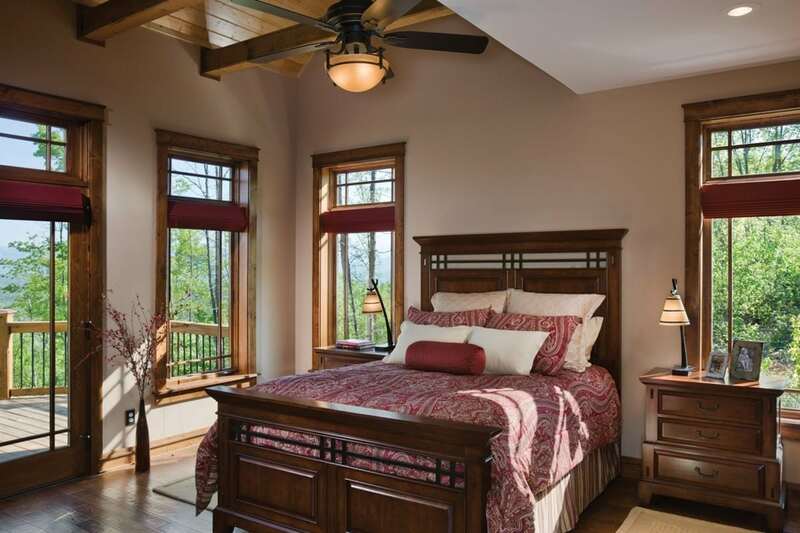 Built for the owners’ retirement years, this timber frame home was designed with the master bedroom and main living areas on the first floor. 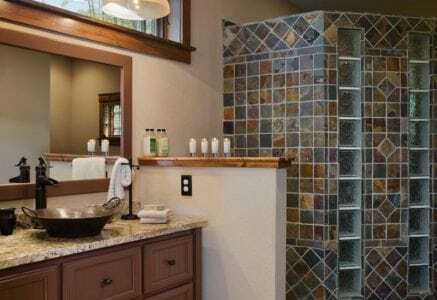 The home was also designed to the Americans with Disabilities Act (ADA) standards, so every part of the first floor is wheelchair accessible. 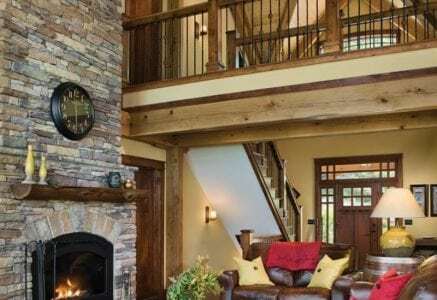 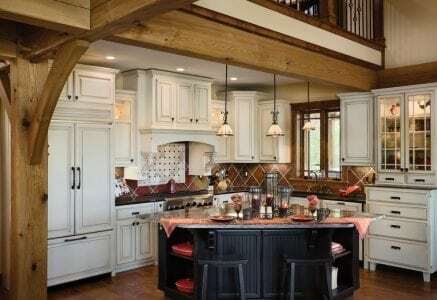 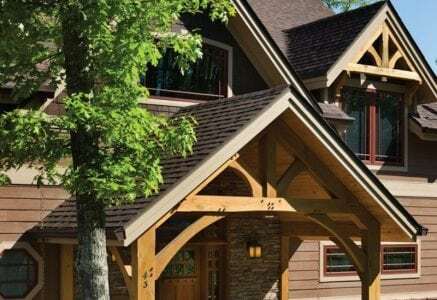 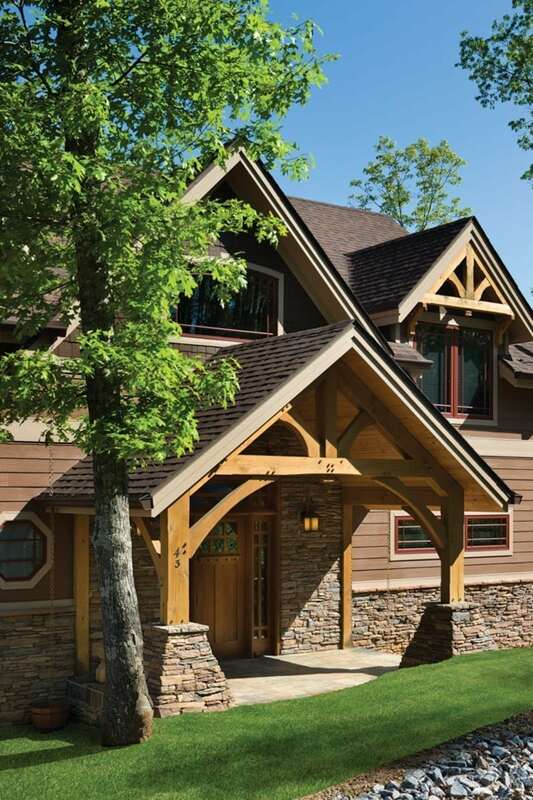 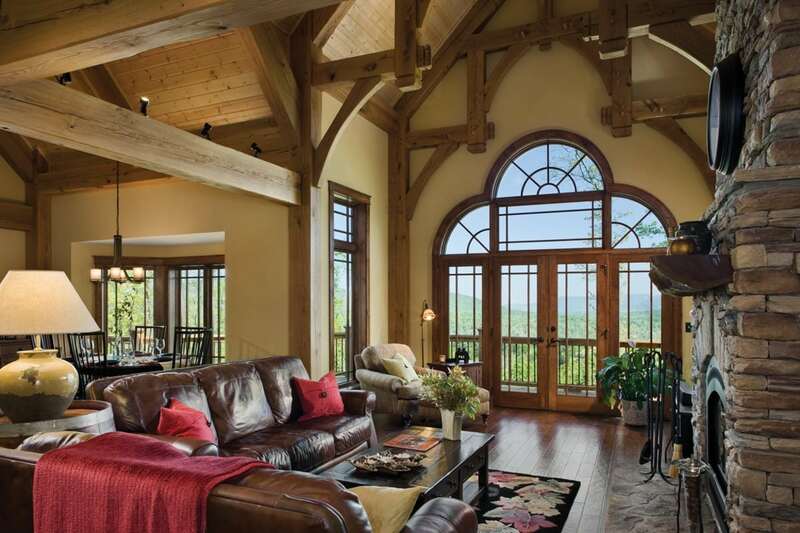 Each door, hallway, pathway, and opening is at least 36-inches-wide, which was easily accomplished with the structural, open nature of timber framing. 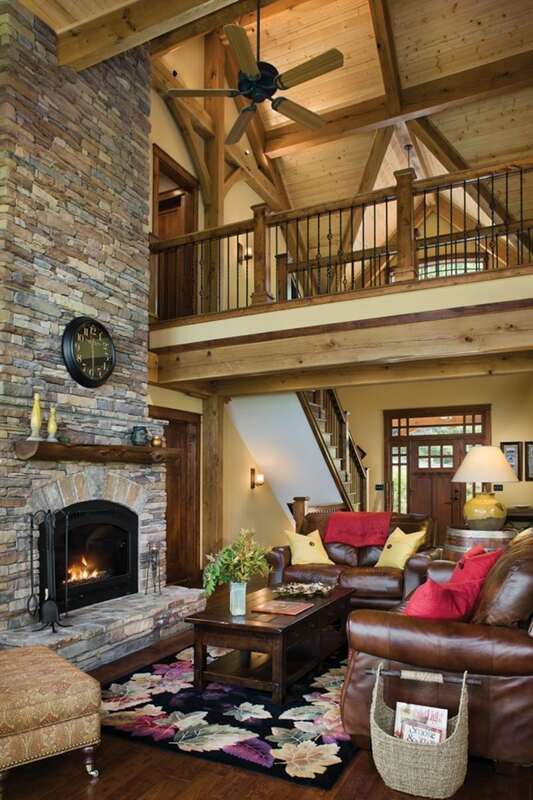 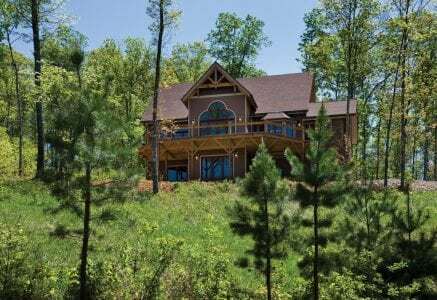 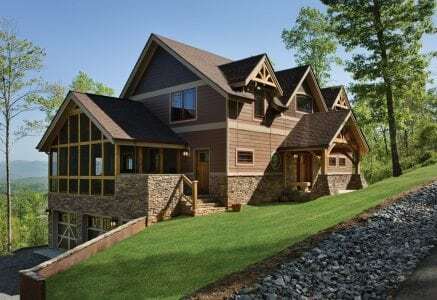 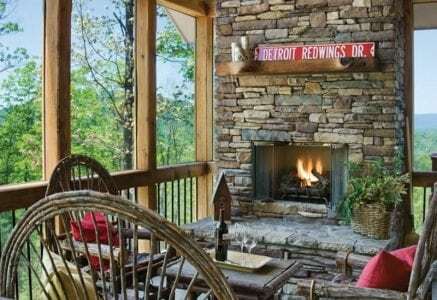 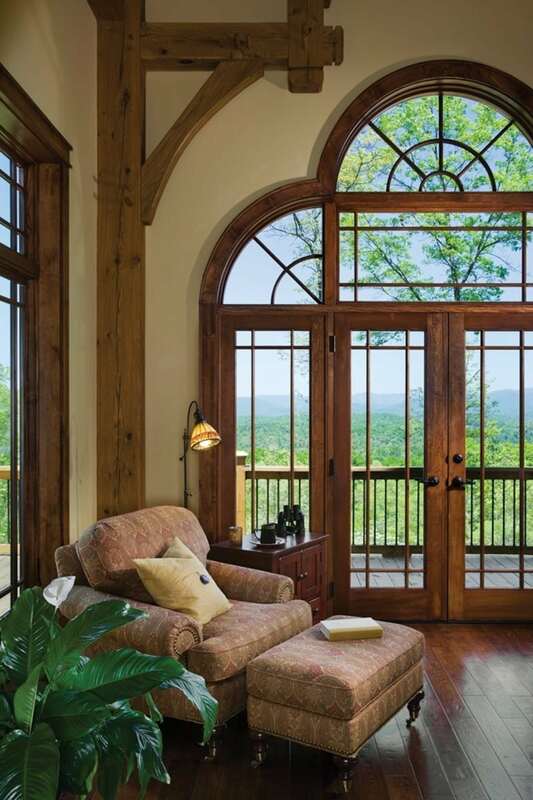 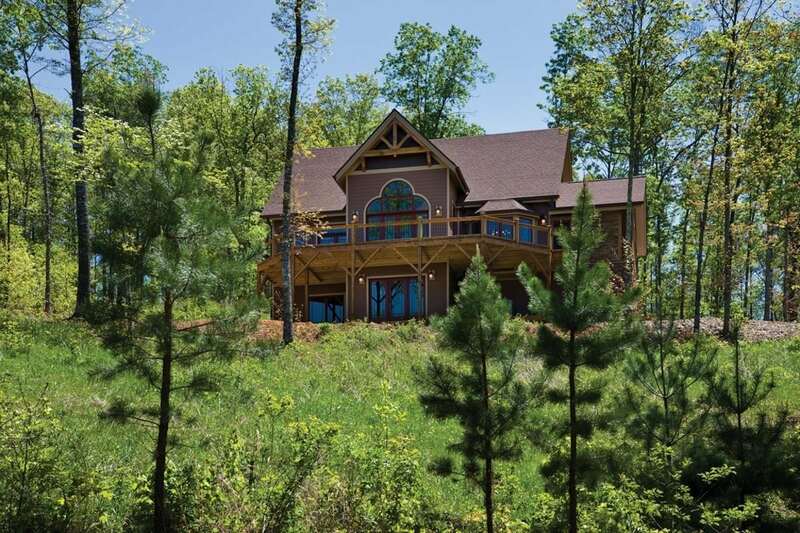 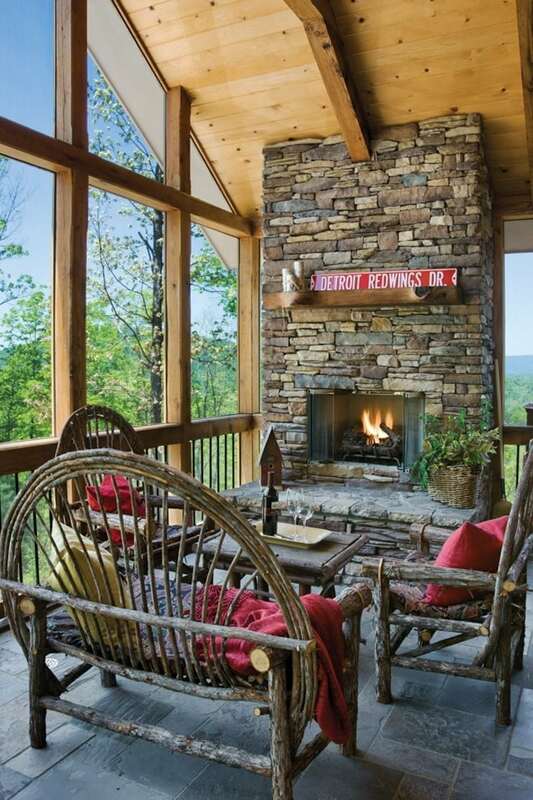 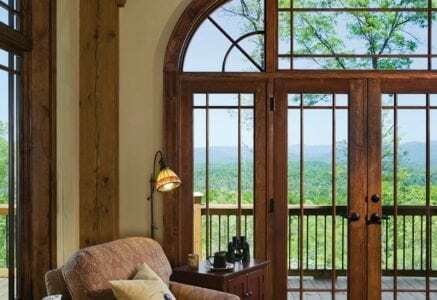 This timber home has amazing views of the mountains and Appalachian Trail through the great room windows. 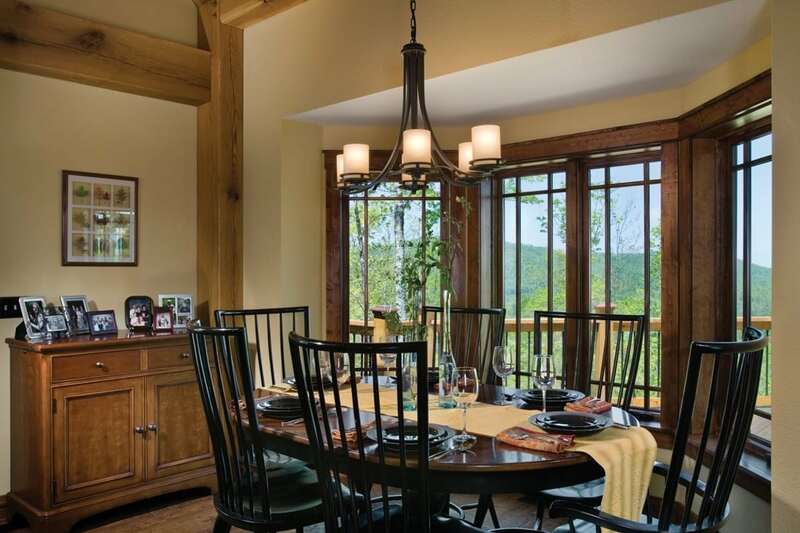 There are also stunning views from the cozy dining room and the covered deck, which features timber-framed screens and a stone fireplace.